Writers’ note: Direct quotes from Professor Brynen are indicated in italics. It is rare that the pleasurable world of fictional gaming and roleplaying is permitted to interact with the traditionally much more serious realm of academics. Role-playing games have been touted as a valuable learning tool that helps improve cognitive functions and language skills, as well as more accurately predicting outcomes of conflict situations. Yet in an academic setting, they are less frequently featured than the tried and true method of lecturing to pupils, or having students pour over texts. 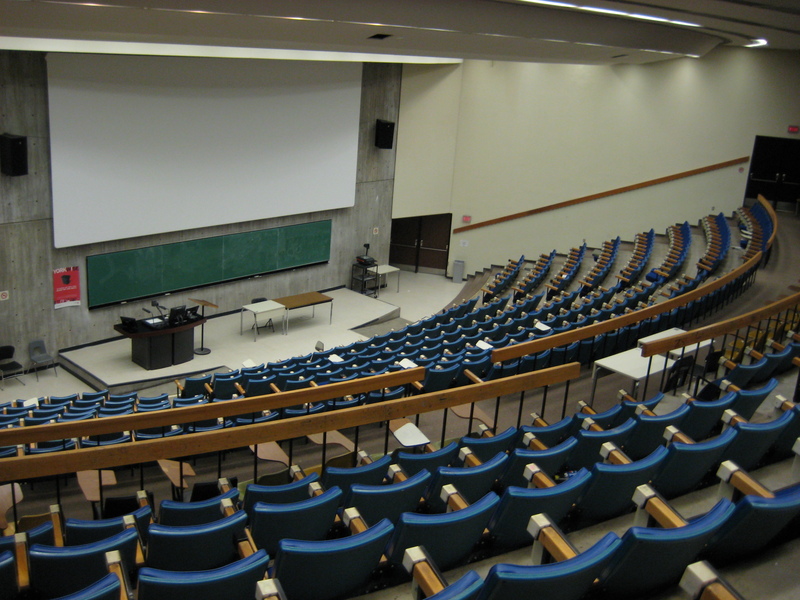 Nevertheless, games – more specifically, simulation games – do present an appealing teaching method for instructors and professors who elect to use them. When and where they may choose to do so, depends on the lessons the simulation is aimed at delivering, and how well it can do so compared to alternative methods. We sat down with McGill’s very own professor Rex Brynen to discuss his perspective on organizing and running simulations, as well as his thoughts on the usefulness of simulations as a teaching tool. Professor Brynen is known within the McGill community as the principal organizer of a number of simulations both in the courses he teaches as well as outside of the classroom. Initially drawn to roleplaying games through Dungeons and Dragons, professor Brynen has since transferred his passion for role-playing games to his Peacebuilding course. Initially a three-day simulation, it has expanded to a week-long event with a history spanning the past decade and a half. He runs a number of simulations outside of Montreal, and has worked in the past with a number of groups including Libyan opposition forces, humanitarian organizations, and both the American and Canadian military. 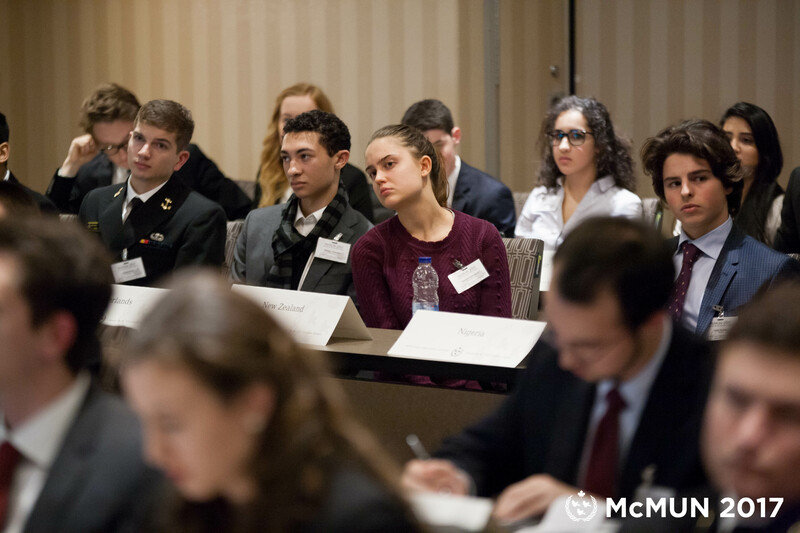 Model UN simulations, like McGill’s own McMUN, are a good example of the fun inherent in role-playing games. Though intrinsically fun on their own, he stresses that, as a learning tool, they serve a purpose and, as such, ought to be used to enhance course material. In Peacebuilding, for instance, it is difficult to convey, through readings and lecture, how challenging it is to re-patriate refugees or run transitional elections. On paper, much of the theory behind peacebuilding makes sense, yet it is harder to understand how exactly and why the carefully designed plans may fall apart through competing interests. One can certainly read and attempt to theoretically understand why challenges to the peacebuilding process may arise and for what reasons, but there is a level of understanding and appreciation that can be achieved more effectively by having students run into those problems in a simulated setting and experience them first-hand. By contrast, other classes, such as Developing Areas/ Middle East (POLI 340), don’t feature simulations. The volume of information in the course, coupled with how much more easily concepts can be conveyed through lecture or readings, renders simulations more useless than useful. “There is nothing in that course that I can’t convey better in lecture.” Thus, within a teaching capacity, simulations serve a very narrow purpose. While ultimately the decision of whether to use a simulation or not lies with the instructor, the extent to which a simulation may be well designed can greatly affect the likelihood of its inclusion in a course. “If you design a game with the rules wrong, then it’s broken.” It is vital that there is balance, variability, and a degree of unpredictability, so that there is no clear winner, loser, or inescapable advantage early on in the game, making the completion of the game futile. In this regard, play testing is a very significant aspect of game design that ensures the game will successfully play out and not run into any impasses over the course of its duration. Playtesting and stringent rules, although helpful in more structured, board-game style play, are not as necessary for a role-playing simulation. “Role playing doesn’t need a lot of rules because players are determining their own interactions.” However, role playing games do require far more “fluff” in that there needs to be a rich backstory, which may be trickier to draw up. Thankfully Brynen has not been at a loss for inspiration to develop detailed lore, as the Brynania simulation from his Peacebuilding course has taken on a life of its own over the course of the 15 years it has been played. Students themselves have come up with songs and videos as well as fictional magazine covers that have become part of the collective culture of the fictional country of Brynania where the simulation takes place. The level of commitment that Brynen has seen students devote to the simulation is remarkable in its intensity. There are expressions of true emotion, real-life relationships are affected (for better and for worse), and there is a great deal of preparation done outside of the classroom environment in order to maximize their experience. This level of investment in the game is highly indicative of a well-designed game. There are a few concerns that arise when it comes to simulation games that must be addressed: the participation of introverts, sensitive topics, or the lack of student motivation to play the game. Rest assured, these issues actually turn out not to be non-issues and do not take away from the game in any sense. 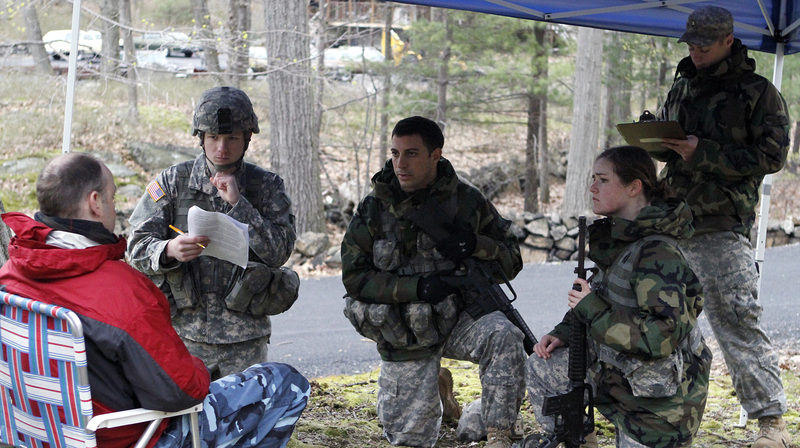 A class of Cadets at West Point simulate negotiation tactics. The first concern that is typically brought up is if introverted participants would get less out of the game, due to the high level of interaction with others that is required. “I was worried that introverts weren’t getting as much out of the sim as extroverts and that turned out not to be the case.” Brynen says that in the data he collected there was no indication that introverts were deprived of truly benefitting from the experience. Typically, this is because players get to choose the roles they play, thereby placing themselves in a position they know they will be comfortable holding. The interesting part of this analysis is that Brynen actually found that the one group that did not enjoy the sim were those with a high need for order. However, these are also probably individuals that should not consider a career with the kind of pressure and uncertainty associated with the simulation. A second concern is that sensitive topics, such as sexual/gender based violence, terrorism, torture, and refugee crises, may be upsetting to certain individuals and cause them to be uncomfortable throughout the simulation. Once again, Brynen has found over many years of experience, that students handle content tactfully and are responsible in their interactions with others. This is not to say that simulations are devoid of conflict, they are inherently characterized as so, but the conflict has a purpose and contributes to the learning process. That being said he does institute some measures to avoid unnecessary or excessive exposure to certain topics. This includes asking that graphic accounts be toned down, which still allows for sensitive content to be included, but in a less troubling fashion. Also, in the fictional country of Brynania, he utilizes fictional ethnicities and religion, as to avoid the hateful rhetoric that could arise. Themes of discrimination, racism, and genocide remain, but without applying to real life groupings. A final concern is that students will not be motivated enough to constructively take part in the simulation. As has been shown, this is not a concern if the game in question is well-designed and provides for intrinsic motivation. “Aid workers have to feel people dying, countries have to be worried about stability, insurgents have to have grievances, authoritarian dictatorships must want to stay in power, human rights activists have to be driven human rights activists.” Brynen has very carefully designed his simulations to foster such involvement, but also finds that students themselves, at least at McGill, come into the simulation already eager to participate. “The cool thing about McGill students is that they are hyperactive about this.” The success in the involvement of students depends upon design as well as the nature of the players. Luckily for Brynen, he has mastered the art of game creation, and also has students ready and willing to take part. In sum, simulation games can be rather valuable tools if they are designed and implemented properly. They have great potential to enhance course material through interactive learning, but there is a need for careful planning and consideration to maximize the benefits that they can provide. After speaking with Professor Brynen it is clear to see that the creation of a simulation is no easy task, as it requires a time commitment and dedication to the craft, but, as expressed through Brynen’s experience, the outcome is well worth it. It is also important to note that simulations can be used beyond the classroom setting. Brynen himself is one of the editors of the blog PaxSims which is, “…devoted to the development and effective use of games and simulation-based learning concerning issues of conflict, peacebuilding, and development in fragile and conflict-affected states, as well as to the policy application of gaming and simulation techniques,” meaning that simulations could also be used by professionals in their respective fields to further their own problem-solving capacity. Simulations are in fact used in this type of setting, and with further development and fine-tuning, they have the capability to be even more versatile than they already are. The possibilities are endless.